Is there really only 10 weeks left until the end of the year? This week Dexter went pumpkin picking in Windmill Animal Farm just outside of Ormskirk. He was really tired and refused to walk, but had so much fun being carted around in the wheelbarrow. 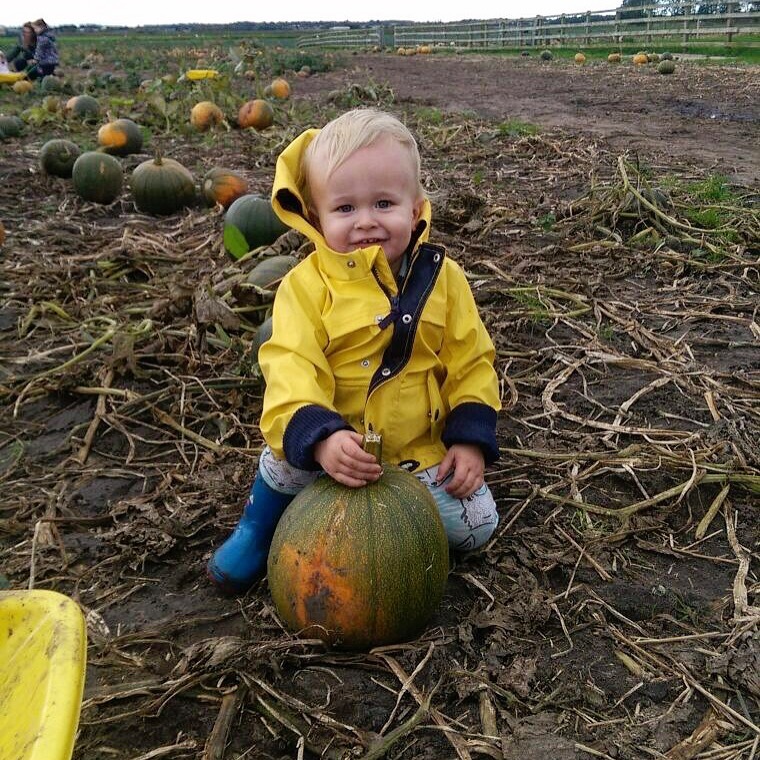 He was obsessed with the pumpkin stalks and enjoyed poking them over and over. This week he has also started pointing at his nose if you ask him where it is, which is super cute! He has also started spinning around making himself dizzy, before falling down giggling! Lovely picture at the pumpkin patch. This time of year is such grim, it’s going so quickly.